Any serious do-it-yourselfer out there will agree that torque wrenches are a must-have tool. They help tighten the nuts and bolts in place, a task that is impossible to complete with a regular clawed hammer. Torque wrenches can also service your vehicle by applying appropriate foot pounds settings so you can operate without the fear of wearing out the bolt or damaging the car engine due to excessive torque. But there are several types of wrenches out there. Learn what features you need to look for when purchasing a torque wrench. Torque accuracy is an important feature of wrenches, and it is typically calculated as the number of foot-pounds pressure applied. Ideal torque wrenches have a tolerance of less than Â±5% accurate in terms of foot-pound settings. High-end torque wrenches will cost you more money but can get the job done more reliably. If you buy a set of wrenches from a reputable brand, your tools will come with a certificate of calibration to adjust the ideal settings. Fancy features such as LED panels don’t accomplish anything out of the ordinary. For starters, you don’t need to read torque values when working on ordinary jobs. It is better to have a sturdy torque made from high-quality materials. Besides, for occasional repairs, you don’t need to spend $400+ on professional torques. If you really want a high-end wrench, you can rent out one instead. Always look at the quality of the wrench set. Cheap torque wrenches are composed of plastic materials, and while they work just fine for most jobs, they don’t usually have a long lifespan. Metal wrenches are more durable and stable under stressful jobs. Although they are expensive, they are very long lasting. Ideal torque wrenches should offer a good ergonomic grip, and not having one completely defeats the purpose of using wrenches in the first place. In most cases, you will have greasy hands when working on a project, which makes it all the more important for your torque wrench to have a strong grip. If the torque wrench isn’t optimized for such situations, you will place undue stress on your muscles. 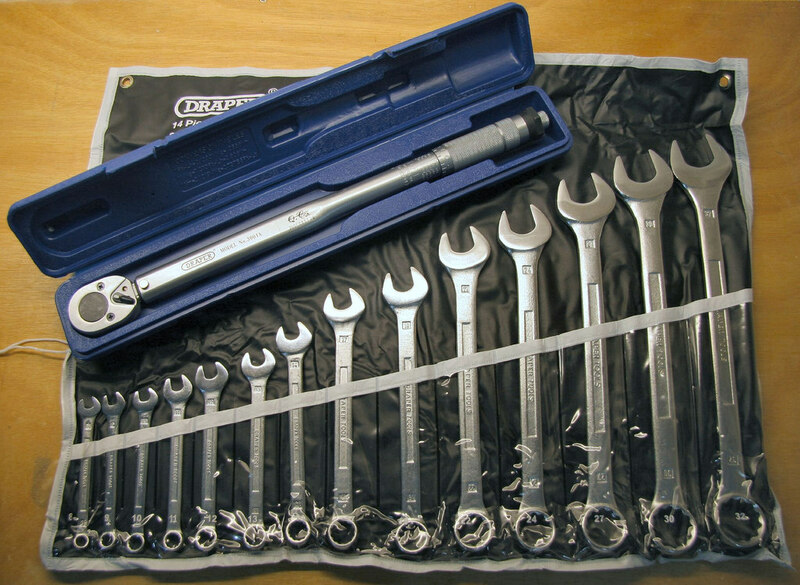 Prices of torque wrenches can vary from as little as $10 to as high as $3,000. You want to take the middle ground by steering clear from the cheapest ones because they will wear out soon. The overly priced wrenches might promise a lot in the way of features, but in most cases, their cheaper counterparts are also getting the same job done. A decent wrench can be acquired for a small price tag, and it will last for several years provided you keep it well maintained. If you’re only using the wrench for occasional repairs, then you don’t need to spend hundreds of dollars on professional torque wrenches. Instead, you can use a heavy duty craftsman wrench for around $80, which will save you a lot of money. Rent your favorite power tools at economical pricing options. Visit Garage101.com and start working on your DIY project today.